For health advocates, salads can stand alone as a complete meal. 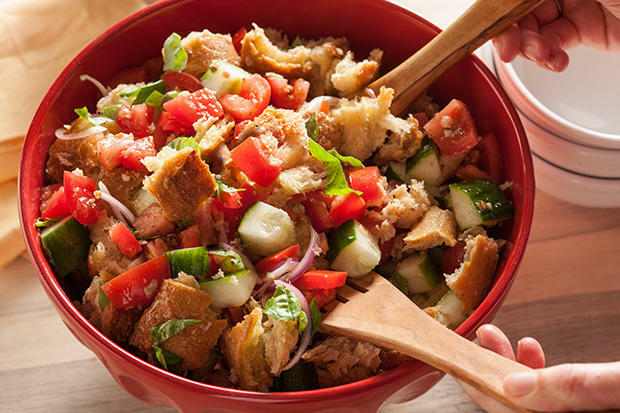 But for those looking to bulk up, salads are but appetizers to prelude the actual meal. To start off our list of salads, let’s start with a healthy one unless you’re looking to up your protein or veggie intake. For this, you’re going to need assorted greens which may include endive, radicchio and butter lettuce, carrots, cauliflower, vinegar, barley, honey, olive oil, salt, pepper, paprika and walnuts. Place assorted greens, carrots sliced into ribbons, cauliflower and barley in a serving dish. Prepare a screw-top jar and combine vinegar, olive oil, honey, paprika, salt, pepper and walnuts. Replace the top and shake well. 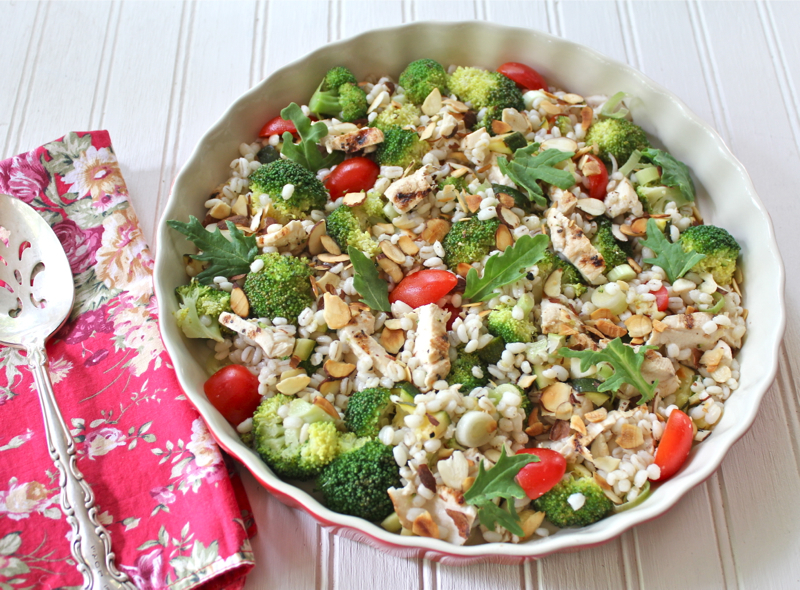 Coat over the salad and top with walnuts. For this one you will need fresh green beans, snap pea pods, asparagus, Italian bread, cherry tomatoes, small cucumber, olive oil, red onion, sweet peppers, Kalamata olives, basil leaves and red wine vinaigrette to be prepared separately aside from your salad. First off, prepare the beans by trimming off the ends and cut it into pieces of about 2-inches. In a saucepan, toss in asparagus, beans and pea pods in lightly salted water. After boiling, transfer veggies to a bowl of ice water. Once chilled, drain the water and let it stand. Next up, spread a thin line of oil in the bread. Toast the bread until lightly brown, using a grill or a broiler. Cool for a few seconds and tear bread into pieces sizing about to an inch per piece. Combine beans, bread, mixture, cherry tomatoes, cucumber, red sweet peppers, red onion, Kalamata olives and fresh basil. Pour the red wine vinaigrette over the tomato mixture and coat gently. Next up, mix remaining dressing over the tomato mixture. Toss again before serving, and add salt and pepper to your liking. For the red wine vinaigrette, place olive oil, red wine vinegar, Dijon-style mustard, garlic, salt and black pepper in a screw-top jar and shake well. 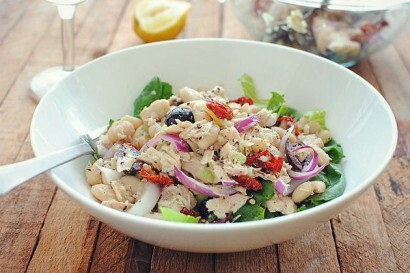 For this salad you will need lemon, cannellini beans, albacore tuna packed in oil, red onion, arugula or mixed spring greens, grape or cherry tomatoes, salt and ground black pepper. Juice the lemon and set aside the peeling. Combine cannellini beans, tuna and onion in a bowl. Add the lemon, lemon juice, arugula and tomatoes. Toss gently. Season with salt and pepper. These salads, along with most, can be adjusted to have more protein or more veggies. Just add more chicken or tofu then you’re good to go. Hope this list helped you plan out you’re lunch for the week. Enjoy those greens!